What does it do? It holds and slices butter with just a squeeze (or shall I say 'click'). 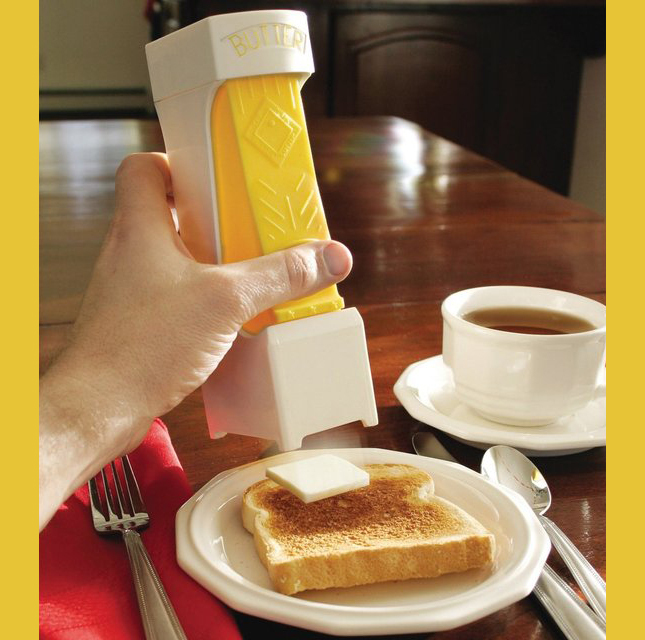 Would you use the One-Click Butter Cutter? Let me know in the comments below or on twitter @techlovedesign.